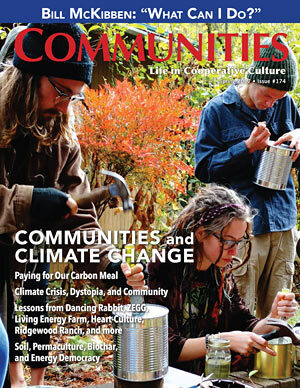 Communities Magazine’s Spring 2016 issue focuses on Communities and Climate Change. 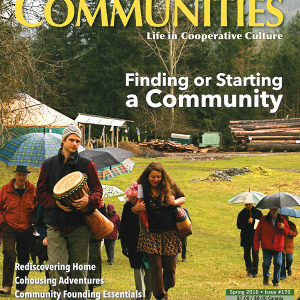 This issue examines how intentional communities and other groups are responding to the environmental challenges we are faced with today. Through stories from more than a dozen diverse communities, we learn about steps being taken both to mitigate the intensity of climate disruption and to adapt to its effects. 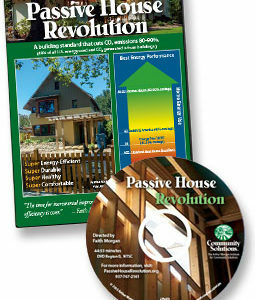 Innovative approaches include carbon onsetting, biochar production and use, personal/spiritual work, strategies for fossil-fuel-freedom, and more. Publisher’s Note—No Hope? by Sky Blue The situation may appear hopeless, but what we do together can transform the world. Notes from the Editor—Climate Crisis, Dystopia, and Community by Chris Roth From the personal to the global, with hard times undeniable, community may be our life-support. The Question I Get Asked the Most by Bill McKibben “What can I do?” It’s the right question—almost. Living Energy Farm: An Answer for Climate Change by Alexis Zeigler A fossil-fuel-free community empowers its members to dramatically reduce their dependence on the corporate economy. Limiting the Damage of Climate Change: Lessons from Dancing Rabbit by Ma’ikwe Ludwig Committed communitarians cut their carbon emissions to around 10 percent of the American average. Soil, Communities, and Climate Change: An Interview with Nikki Silvestri by Chris Roth As a climate solutions advocate explains, carbon is not a bad thing; it’s just in the wrong places right now. Addressing Climate Change: Two Generations at Heart-Culture Farm Community by Kara Huntermoon For the next generation, planting trees, growing food, and living in community are only the start. Permaculture, Community, and Climate Change by Tom Henfrey Community-led action, with permaculture as a key tool, is the basis for many of the most innovative and effective responses to climate change. Ridgewood Ranch: A Mecca For Adaptive Community by Steve Hellman and Daniel Spiro Numerous projects on a community’s 5,000 acres contribute to climate-adaptive land stewardship. Variations on a Theme: Low-Carbon Communities of All Sorts by Ma’ikwe Ludwig Three innovative non-residential groups use community as a tool to address climate change. Hurricane Lunch: Global Warming Affects Island Nations by Philip Mirkin A community in Fiji responds to a category one hurricane— a taste of events yet to come. Local Solutions to Global Warming: Paying for Our Carbon Meal by Daniel Greenberg Compared to carbon offsetting, carbon onsetting may be a more effective strategy to build sustainability. Intentional Electricity: The Challenges and Rewards of Community Power by Woody Hastings In Community Choice Energy agencies, we are witnessing the emergence of Energy Democracy. 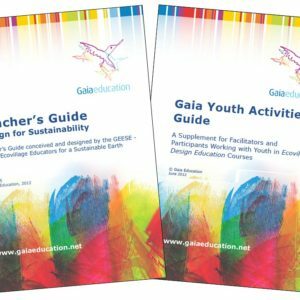 The Carrot in Front of Our Nose: Lessons from ZEGG by Tobias Bayr Life in an ecovillage demonstrates that less can be more. Communities and Zero Population Growth by Arty Kopecky Cooperative culture helps us evolve beyond the nuclear family toward conscious kinship and reconnection with the land. Preparing for the Human Challenges of Climate Change by Sara Donna Deteriorating social and environmental conditions require both spiritual preparation and practical steps. Twenty Principles of Ecoresilience: Personal and Cultural Adaptation to a Changed Planet by Linda Buzzell and Craig Chalquist How do we strengthen communities as climate change intensifies? Affordable, Developer-Driven Ecovillages: Meeting an Unmet Need by Mac Maguire A replicable ecovillage model is our best hope for achieving essential, global-scale changes. 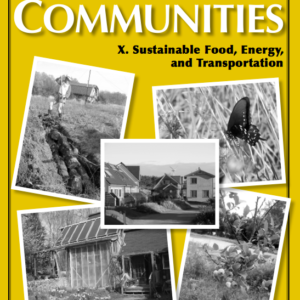 Wurruk’an: An Experimental Intentional Community by Bill Metcalf A book on “life beyond industrial civilisation” inspires the creation of an ecovillage. Review—Permaculture and Climate Change Adaptation by Amelia L. Williams A new book offers grassroots strategies for responding to climate change. This item is shipped by GEN’s nonprofit partners in North America. Please allow 1-2 weeks for delivery. Depending on your country, additional duty or tax (VAT) may be due to receive your package.